Jack Mansergh Farraday OBE was an accountant by profession. He had a history of service to Bury which resulted in him being awarded an OBE for services to the community in 1995. Outside Freemasonry, he is remembered for his work with Bury Hospice of which he was Vice-president; the Rotary Club of Bury of which he was President; the Abbeyfield Bury Society where he was the founding secretary and later the President; Bury Grammar Schools where he was clerk to the governors and responsible for the new buildings; he was a JP and Chairman of the Magistrates bench at Bury for many years, as well as his involvement in numerous other organisations. He told WBro Stuart Cass that when he was presented with his OBE, Her Majesty the Queen asked him how he managed to do all of the things that he did during one lifetime. Within Freemasonry, Jack was a PJGW of United Grand Lodge. Any brother who visits Bury Masonic Hall will know the name, indeed such is the high renown of Jack’s name that he has a room named after him. The room is a general meeting room on the ground floor which is sometimes used as a small practice room and is also used as a changing room for Acting Provincial Officers and Officers of United Grand Lodge at larger Lodge meetings and Convocations. On Tottington Road in Elton stands a care home called Farraday House which is named after Jack. Farraday House is a care home which caters for older people who value their independence. It is run by the Abbeyfield Bury Society which is a part of the national Abbeyfield Society. The home has recently been extended and enlarged so that there is now accommodation for 33 residents – more than double the previous size. It is a very attractive place to live – indeed one of the members of the Lodge of St John (191) at Bury has recently moved into a room with his wife. The extension to the building has resulted in work being needed to bring the gardens at the rear of the home up to scratch. 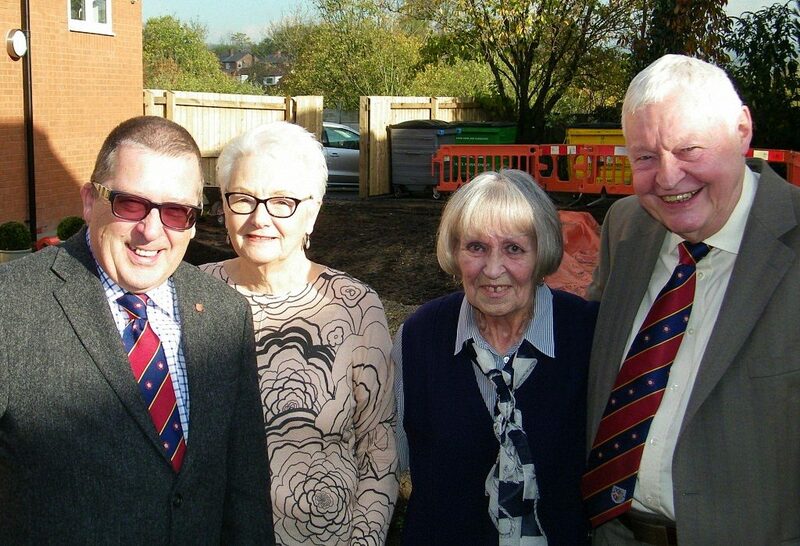 WBro Cass does voluntary work at the home and he suggested that the ELMC might be able to help. An application was presented to the ELMC’s grant making committee and the members agreed to support the home with a grant of £1,000. District Charity Steward Chris Eccles went to Farraday House to present the cheque to the Chair of Trustees,Yvonne Creswell, and trustee Lesley Howorth. Both are unpaid volunteers at the home. The handover was watched by WBro Stuart Cass. The longer serving members of Lodge of St John 191 may recognise Lesley as the widow of Douglas Howorth who was a member of that Lodge who died in 2005. It is intended to install two nameboards on the external fencing which will acknowledge the connection between Farraday House and Freemasonry and which will be clear to everyone travelling along the main road to Tottington. This will be a wonderful advert for Freemasonry.